Star-gazers and astronomy-enthusiasts are in for a blazing treat. Meteors hailing from the Lyre constellation, or 'Lyrids', can be seen from all over the world and if you're lucky, you can catch the spectacular show. Peak shower hours will be after midnight on Saturday, April 21 until the early hours of Sunday, April 22, as per Al Ittihad report. Residents will be able to see the meteors without the aid of a telescope. According to Ibrahim Al Jarwan, deputy director general of the Sharjah Center for Astronomy and Space Sciences, "This phenomenon occurs every year from April 16 to 25. 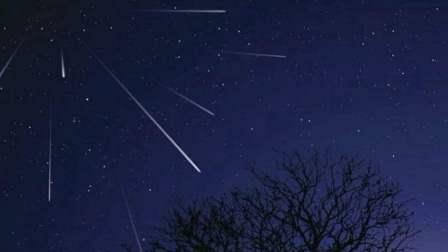 Some areas will see a heavy meteor shower, falling debris from a comet as earth passes through its orbit." He added that this phenomenon can be seen from all vantage points worldwide, but especially in dark areas far from urban lights and cities until the early hours of the dawn. "Depending on how clear the skies are, stargazers can see more than 20 meteors an hour. After the moon sets, the meteors are even more visible," Al Jarwan said. "Meteorites arise when the earth's path around the sun crosses with a comet's path. The comet leaves a lot of dust and fine debris in its wake. Such particles enter the Earth's atmosphere, then dissolve and evaporate as a result of the friction at altitudes between 80 and 120 kilometres high." "Because of this friction and melting effect, the meteor forms a bright line moving quickly through the sky for a few seconds or a fraction of a second. The diameter of such meteors doesn't exceed beyond one centimeter and are as small as one millimeter. They enter the atmosphere at nearly 65 kilometers per second." He continued: "Millions of meteors enter earth's atmosphere on a daily basis, most of which cannot be seen by the naked eye."